Powers/Abilities: Skilled wrestler. Wears a bulletproof costume. Is in peak physical condition, allowing him to hold his breath for up to seven minutes, cause wounds to seal and blood to clot in seconds, or resist extreme cold. Vulnerable to electricity. 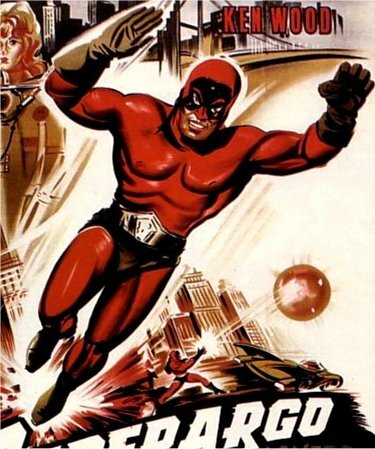 History: After killing an opponent in the ring, the guilt ridden wrestling champion Superargo agrees to help an old friend who now works for the secret service. He is recruited to retrieve stolen uranium from the mad scientist Diabolikus. Comments: Played by Giovanni Cianfriglia. 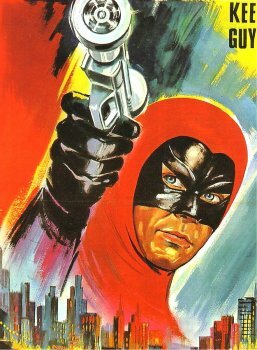 Superargo was the star of two movies in the late 1960s.